Award-nominated author Tammy was born in Midland, Texas. SUGAR LAND is her debut novel. She’s been published two dozen times in journals and anthologies and is also the Publisher of Gertrude and wrangler of GERTIE queer book club. 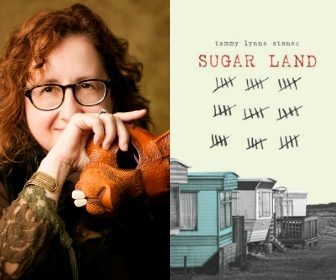 ​Tammy attended the Tin House Workshop twice, earned her MFA from Antioch University, won a fellowship to the 2012 SLS Summer Seminar in Kenya, and was nominated for a Million Writers Award and a Pushcart. SUGAR LAND made the Advocate’s Best of 2018, was long-listed in the Tournament of Books Best of 2018, got named as a Fall 2018 Read by Bustle, was listed on a Top Five for 2018 by Powell’s booksellers, was starred by Kirkus Reviews, and called “writing at its finest” by the New York Journal of Books (among other lovely reviews here). Stemming from what her grandmother calls her “gypsy blood,” she has lived in 16 cities in 3 countries, working as a gas station attendant, biscuit maker, medical experimentee, waitress in a Greek diner, house cleaner, and a college instructor – among other odd jobs. She also created “Dottie’s Magic Pockets” – the first show for kids in all kinds of families. She lives between Portland, OR and Basel, Switzerland with her lady-friend, Karena, and their three kids. HERE’s what she working on now. Tammy is available to visit with book clubs (video chat and in person visits offered). Schedule your author via NovelNetwork.com.